Zoom Air became the 10th scheduled carrier in India with its inaugural flight from Delhi to Durgapur. It is the only airline that flies to Durgapur. The daily operations will ply on the Delhi-Kolkata-Durgapur sector. The service would further be extended to Amritsar in the afternoon followed by an evening service between Delhi-Surat-Bhavnagar-Delhi. The CRG 200LR aircraft is 50 seater with 2X2 complete premium economy seater. IndiGo will double the frequency of its Delhi-Bagdogra service from daily to twice daily flights, as well as increase its Kolkata-Bagdogra route from twice to three times per day from February 16, 2017. 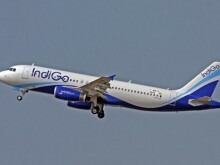 IndiGo will add a series of flights, including a brand new daily service from Hyderabad to Chandigarh, an eighth daily service between Hyderabad and Chennai, a fifth daily flight between Kochi and Chennai, and a fourth daily flight between Kochi and Hyderabad. The following month will witness the LCC will boost one of its key international routes with the launch of a second daily flight between Chennai and Singapore, effective March 5, 2017. IndiGo operates all its routes using a fleet of modern, all-economy class Airbus A320 aircraft. IndiGo launched its first #FitToFly gym under a one-of-its-kind initiative #FitToFly programme at Sanganer police station near Jaipur International Airport, in order to promote fitness. Rolled out in December 2016, #FitToFly is aimed at providing means and inspiring people to pursue their fitness goals. Especially designed for police personnel, #FitToFly gyms are fitted with state-of-the-art equipment and machinery. Sanjay Aggarwal, Commissioner of Police, Jaipur inaugurated the first #FitToFly gym in the presence of Kumar Rastradeep, Deputy Commissioner of Police; Summi Sharma, Vice President, ifly IndiGo; and Ajay Jasra, Director, Corporate Communications, IndiGo. Also present at the event were J S Balhara, Airport Director Jaipur; CISF Commandant R. K. Singh, and members of IndiGo team. 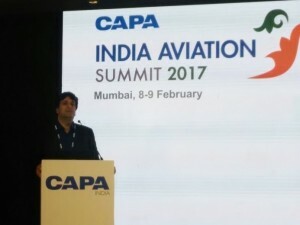 The annual masterclass on Indian aviation — the CAPA India Aviation Summit 2017 — started on a positive note, albeit with a caveat. 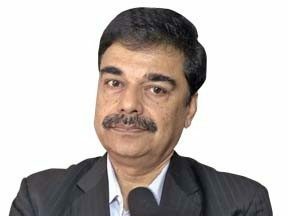 This was reflected in the introductory address made by the summit chairman Kapil Kaul. Speaking at the conference in Mumbai, he said, “The next financial year is expected to be the third consecutive year of domestic growth above 20-25 per cent. That should mean profitability, strengthening of the industry, more jobs and more competitiveness. 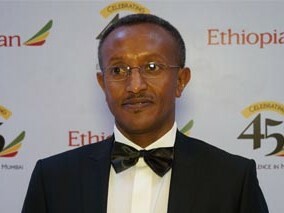 However, this projection could also be misleading and possibly leading us to risks.” The two-day summit started on Feb 8 and will end the following day with a half day conference on corporate travel. 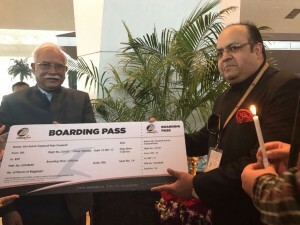 The latest scheduled airline in India — Zoom Air — which received an air operator’s permit (AOP) on February 3, might start operations from Pasighat airport in Arunachal Pradesh. 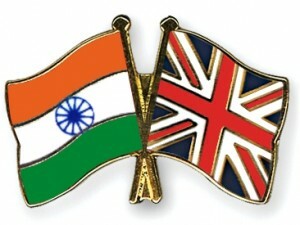 The airline will launch its scheduled commercial operation on Delhi-Kolkata-Durgapur-Delhi route on February 12. 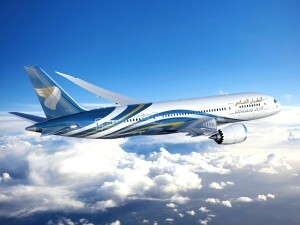 The airline is in talks with the Arunachal Pradesh government to connect the newly built airport. 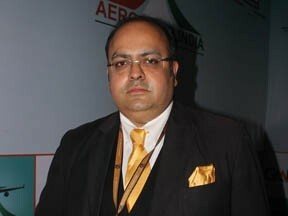 Koustav Mohan Dhar, Executive Director and CEO, Zoom Air has reportedly revealed that they are awaiting clearances from the state government as well as the DGCA. RwandAir will add two new destinations to its portfolio in April this year, first Harare on the 01st of April with daily flights and then Mumbai on the 03rd of April with four flights a week. Mumbai, RwandAir’s first ever intercontinental destination, will see one of the airline’s new Airbus A330’s, configured with a Business, Premium Economy and Economy class layout deployed for the nonstop flights from Kigali. Harare will from April onwards be combined with Lusaka as flights to Johannesburg revert to non-stop services, also operated with Boeing B737NG aircraft.